Around 1700 AD the Lacandon Maya took refuge in the forest lowlands of Chiapas, Mexico, and in western Petén, Guatemala. They were never conquered by the Spanish and thus maintained many of their cultural practices well into the twentieth century. Their language belongs to the Yucatecan branch of the Maya language, a branch that is believed to have begun to diversify at least one thousand years ago. Today the Lancandon are split into northern and southern linguistic groups. 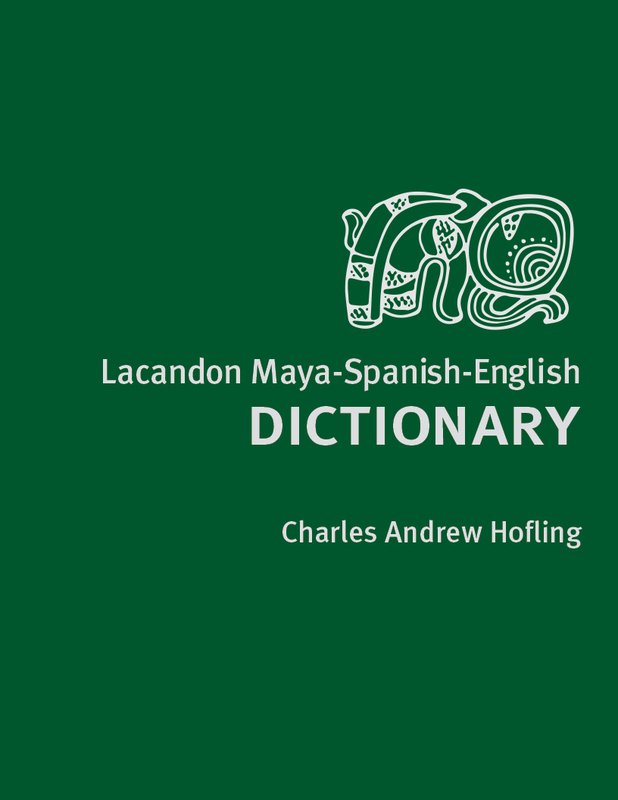 This dictionary focuses on the southern Lacandon of Lacanjá. Following the same trilingual format as Hofling’s Mopan Maya-Spanish-English Dictionary, this reference contains pronunciation and grammatical information. It is a hybrid of a root dictionary and one with words in alphabetical order; words can be looked up in these two different ways, making it easy to use for both native and nonnative speakers. It also accommodates Spanish speakers who wish to learn Lacandon, and in the future is likely to be helpful to Lacandon-speaking children, who increasingly use Spanish outside the home, while preserving a record of this indigenous language. Charles Andrew Hofling is emeritus professor of anthropology at Southern Illinois University. He is the author of Itzaj Maya Grammar (University of Utah Press 2000) and Mopan Maya-Spanish-English Dictionary (University of Utah Press 2011). “The grammatical sketch is particularly valuable. No previous publications can compare with the fieldwork and information that Hofling has assembled, and the analysis that he has done. It will be useful, not only to Mayan linguistics, but to linguists in general. It is likewise invaluable to those who study Mayan epigraphy.” —Martha J. Macri, Yocha Dehe Chair in California Indian Studies, Department of Native American Studies, University of California, Davis.